When the Adam Lind trade went down last weekend, I started thinking about the payroll implications that it had for the Blue Jays. Sure, they traded away a player who was set to receive $7.5 million in 2015 but what were they getting back? MLB Trade Rumors came out with their arbitration estimates for 2015 and the Blue Jays had eight players on that list. Marco Estrada, the pitcher who came back to Toronto in exchange for Adam Lind, is tabbed to receive $4.7 million while Justin Smoak, the player the Jays picked up on waivers and who (right now) is expected to fill Adam Lind’s role with the team, is expected to make $3 million. With a total of $7.7 million combined, the two players are expected to eclipse the $7.5 million that Lind is set to receive. Now, of course, there’s built-in flexibility here because Smoak is a switch hitter whose numbers don’t suffer nearly as much when he hits left-handed pitching and Estrada will likely fill a role in the bullpen but will also be able to start when needed. That said, Estrada’s $4.7 million for a swingman is almost as much as they were paying J.A. Happ last year. While Happ ended up being a valuable member of the starting rotation in 2014, when he received his two-year contract, he was anything but a shoo-in for a starting role. I’m not expecting Marco Estrada to be a J.A. Happ in 2015 unless the Jays come out and deal one of their starters. Another piece of the salary puzzle that the Blue Jays will have for 2015 is that Alex Anthopoulos said on TSN that “he doesn’t expect to spend more than he did in 2014” thanks to a tweet from @BVHJays. How much is that, you ask? According to Cots Contracts, the Blue Jays spent $137,177,700 on salary in 2014. So we get about $108.75 million for the Blue Jays’ payroll. Now, keep in mind that (as far as I know) most guys with less than three years service time will only get a pro-rated portion of their contract for the time they’re in the major leagues (unless they have a specifically ML contract, which is something the Blue Jays generally don’t do). Anyone with a * beside their figure means that I’m using the MLB Trade Rumors estimate for arbitration. Also, I was estimating anyone making minimum or pre-arbitration amounts as $520 K.
This actually means that the figure is going to be less than $108.75 million. I don’t think that the Blue Jays will offer Juan Francisco a contract. While he could be a useful player, if the Blue Jays go after another infielder to play every day (either at second or third) and with Maicer Izturis (hopefully) back in 2015 as well as Danny Valencia on the roster, Francisco is very expendable. Judging how quickly pitchers picked up on his weaknesses (and how little Francisco appeared to be able to adjust), I think that spending $2.2 million (or so) on him is far too much for a team that wants to compete for the playoffs. Let’s put the figure at $105 million. This means that the Blue Jays have about $32 million to spend this offseason, assuming they don’t trade more players away (always a possibility). How far is that money going to stretch? Let’s look at each area of potential need. I think that they don’t have to go out and spend on starting pitching if they don’t want to. Trading a Mark Buehrle would open up a ton of flexibility and a spot for someone like Aaron Sanchez, Marco Estrada or even Daniel Norris if they so chose but I think that if they traded Buehrle, they might be going after another, more established starting pitcher. On the other hand, the Blue Jays’ track record for getting starting pitchers on the free agency or trade market is generally not very good (Dickey and Buehrle aside). Also, most pitchers want longer contracts in free agency which the Blue Jays have shown that they’re not willing to give. I think the Jays stand pat in this area. I’d say that the Blue Jays could probably spend $6-8 million in the bullpen for two or three more pitchers. 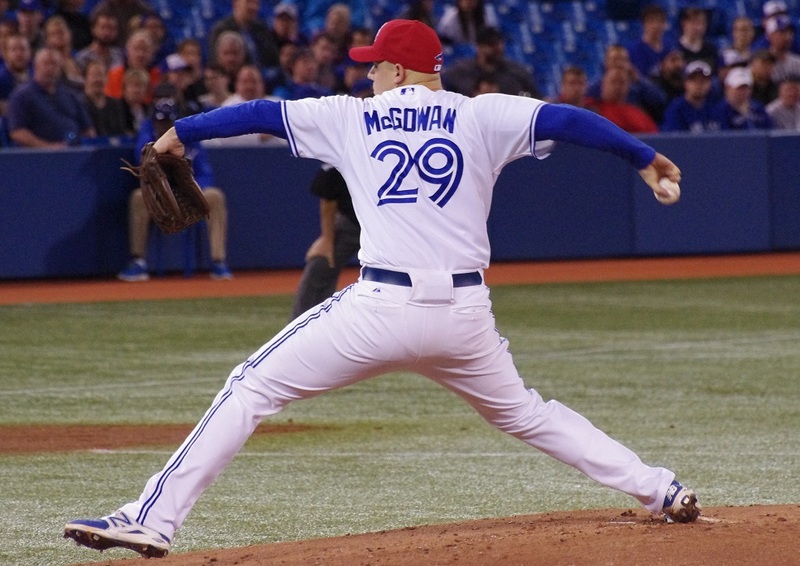 Could Dustin McGowan come back at about $3 million in 2015? I think that’s a reasonable figure for him; it’s just a matter of whether there is someone out there willing to offer him more (and more years) to sign. But either way, I think the Blue Jays can get their relief pitching needs met for about another $6-8 million. With Cecil, Estrada, Loup and Redmond, the Jays have some solid arms but nearly enough giddy-up to really be competitive for a spot. If the Jays don’t spend money in other places, they may very well exceed that $8 million amount. Ok, now we get into the place where there are so many possibilities that I don’t even want to speculate. With about $25 million left after addressing relief pitching, the Blue Jays have some potential to get someone who can make an impact. There have been rumours of the Blue Jays trading for Howie Kendrick who will make $9.5 million in 2015. There’s definitely room in the payroll for that. Here is the biggest issue for the Jays. With two key members of the outfield in 2014 now free agents, the Blue Jays have some big shoes to fill. 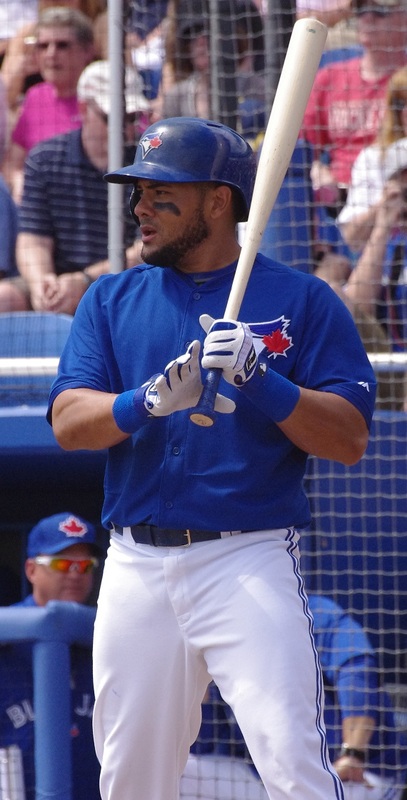 Melky Cabrera is obviously the most important of the two, as he was probably the Jays’ most consistent hitter in 2014. How much will it cost for the Blue Jays to re-sign him? Will they be able to offer him a long enough term to get him back? Is there going to be another team that is willing to offer him (much) more than the Blue Jays will? These questions make it so hard to figure out what’s going to happen but, needless to say, it’s going to take big chunk of the available salary space to get a comparable outfielder to Cabrera, assuming the Blue Jays are going with one (or two) of Pillar, Gose and Pompey to man center field next year. I’m not one to engage in idle speculation on what the Blue Jays are going to do. I’d rather let them do it and then write about it but the fact is that the Blue Jays, despite still having the big contracts of Mark Buehrle and Jose Reyes on the books, have quite a lot of flexibility in their finances for next year. The fact of the matter is that the Blue Jays have a few young men to thank for that. 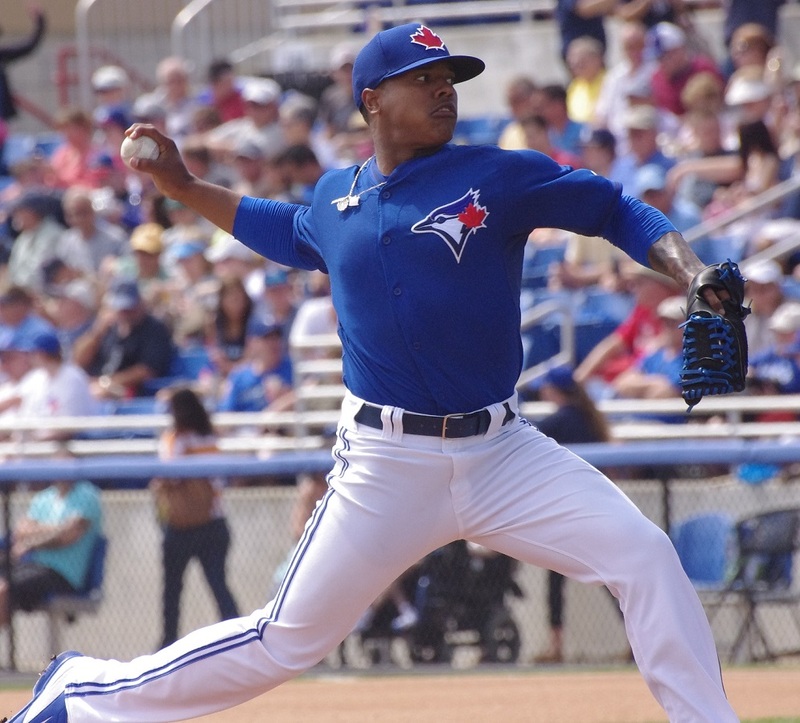 If the Blue Jays had not gotten solid (or better) seasons out of Marcus Stroman, Drew Hutchison and Aaron Sanchez, they might have felt the need to go down the same road as the Minnesota Twins to fill the back two or three rotation spots in 2015. If we look at Minnesota, they’re paying Ricky Nolasco $12 million and Phil Hughes $8 million in 2015. Hughes had a great season but Nolasco wasn’t all that fantastic with a 5.38 ERA and 1.52 WHIP. Looking at the starting pitchers available in 2015 free agency, the Blue Jays have a similar “B” list of pitchers to choose from, most of whom will make a boatload of money to provide their team with mediocre numbers. The best of the crop, Max Scherzer and James Shields will demand far longer terms than the Blue Jays are willing to give. Two others, Francisco Liriano and Ervin Santana, have qualifying offers attached to them which will deter the Blue Jays since their first-round draft pick isn’t protected this year. That said, there are still “quality” B-list candidates for the Blue Jays to pick up if they were so inclined. Brett Anderson has been connected with the Blue Jays in trade rumours in the past and had a very strong (if limited) season and could command some decent money on a shorter term deal. Jason Hammel was far better in the National League (despite coming to a great pitcher’s park in Oakland) but will still get a solid deal for himself after making $6 million in 2014. There are still guys like Justin Masterson, Brandon McCarthy (who was particularly good for the Yankees in half a season last year), Wandy Rodriguez, Jake Peavy, all of whom will probably command eight-digit salaries per season. If the Blue Jays didn’t have several strong young starters take a step forward in 2014, the Blue Jays would be looking for more starting pitching. In fact, so much depth has emerged that even Aaron Sanchez isn’t looking at a guaranteed starting rotation spot in 2015. 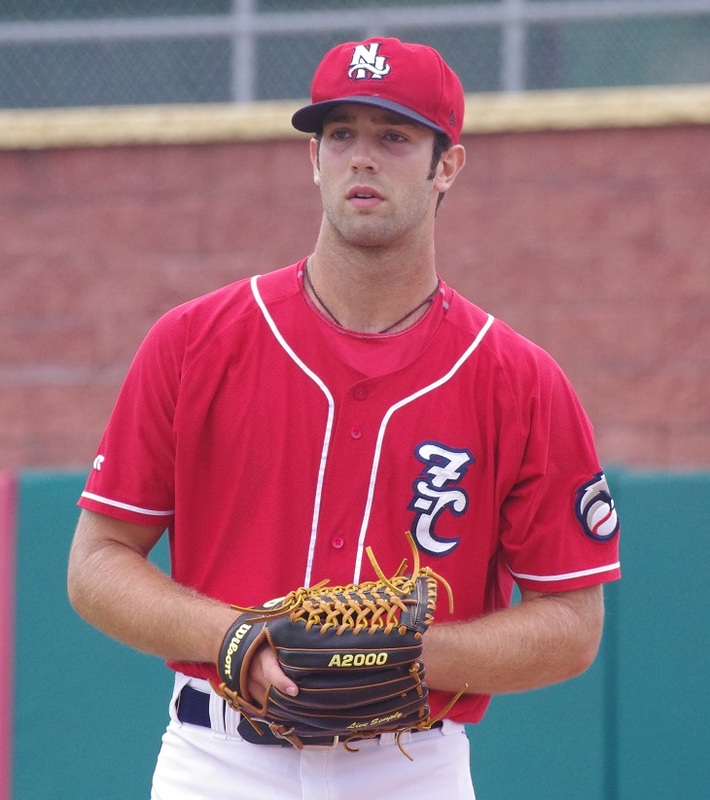 I’m not even raising the subject of Daniel Norris (who, in my opinion, still needs half a season of seasoning in Buffalo), Kendall Graveman or Sean Nolin, all of whom could end up in the big leagues at some point in 2015. Having payroll flexibility is one thing. Having payroll flexibility and a plethora of young, cheap starters who can go out there and eat innings while allowing the team to spend money in other places is priceless. If you like us here,“like” us on Facebook!